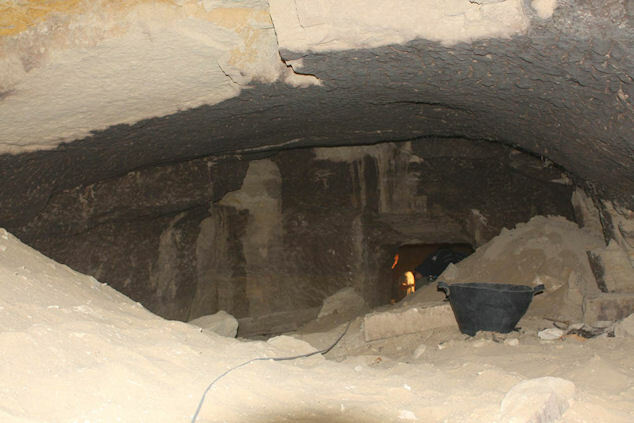 Egyptian archaeologists have unearthed the largest tomb ever found in the necropolis of Saqqara south of Cairo. Carved out of limestone, the tomb dates to to the 26th Dynasty (664 -525 B.C.) and was found near the entrance of the necropolis. The tomb consists of a big hall hewn out of the limestone rock. Egypt’s chief archaeologist, Zahi Hawass, who announced the discovery, said that early investigations showed that although the tomb dated back to the 26th Dynasty, it had been used several times. It was certainly opened several times, and appears to have been robbed at the end of the Roman era, around the 5th c. A.D. It is so large it took Hawass two hours just to walk around inside of it. Various stories have said the mummified birds were either eagles, falcons or hawks, so I’m not sure which one is correct. If they were representatives of the god Horus (which would make sense in a funerary context), they were probably falcons as he is usually depicted as a man with the head of a falcon. The team also found another limestone tomb right next to it, this one sealed with many clay pots and ancient coffins scattered around.